Before launching into Solidworks certification training courses, study tips, and practice exams for the Certified Solidworks exams you may ask yourself “Is it worth it”? If you have asked yourself this you are not alone. The question is a valid one and comes up often, on reddit’s /solidworks forum, in industry publications, and is even posted to the Solidworks forums by hiring managers asking about candidates. In order to answer the question accurately we must look at what ‘worth it’ means. Depending on your objective on how to use the certification the answer might change. If you’re considering getting certified as way to justify a college course on Computer Aided Design the answer will be different than if you are considering it in an effort to get a promotion from CAD designer to manager. What will my Return On Investment (ROI) be For the CSWP? One way to judge worth is to measure the amount of return on your investment. For the Solidworks certification, and pretty much anything else, the two primary investments are in time and money. The CSWP is a relatively inexpensive exam and for many users it is possible to take it for free. Full price for the Associate and Professional Exams (CSWA and CSWP) are $99 while the CSWE is priced at $149. If you are one of the 5000+ attendees of Solidworks World every year you will get a free voucher to take the exam. 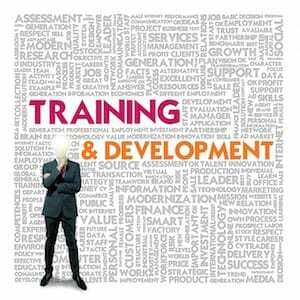 In addition many VARs have vouchers that they can provide to clients, usually this is done to drive sales of training programs. In addition to the cost of the exam many users rely on some form of supplemental training courses from their VAR or from a number of reliable online suppliers. Though 3DENGR supports these it is also important to point out how many free resources their are including countless tutorials and tips available here and on youtube. Depending on your budget these can range from a few dollars for a new book to thousands for multi-day comprehensive training and support. The time invested in the CSWA/CSWP and CSWE exams also can range widely. At a bare minimum the exams are 3 hours, though it’s possible to take and pass them in less. For most people though the time spent preparing is much more. Thankfully this time has dual benefits. Sure, it is important to review the structure and format of the exam and finding out the most efficient ways to work the testing software is not transferable to real life, but finding the best method for setting up files and equations will ultimately be useful for anyone who routinely works in a team. This is where the most benefit is derived from the certification. Not necessarily from putting it on a resume but from the practical effects and knowledge gained while taking an exam. Knowledgeable hiring managers and companies know this as well, that the CWSP and CSWE are more than just resume fluff. The certification means not only that you got a passing exam on a test but that you were motivated to do so, which speaks to some extent to the character and drive of anyone who passed it. The reason for this is simple. There is no situation where a CSWP is required. Outside of the CSWE event at Solidworks World (an exclusive open bar party typically stocked with RC cars, drones, and other fun things designed in the software) a solidworks certification will not gain you access. Even so there are often dozens of roles posted on job boards that include a mention of the CSWP, CSWA, or CSWP. At the time of this writing there were more than 30 such positions on Indeed.com. Ultimately gaining a CSWA/CSWP or CSWE will be useful if you want it to be. For users of the Solidworks software who are looking for a way to beef up their skills, the rigor and structure of studying for and taking the CSWP will prove beneficial. For job seekers looking to change positions a certification will help you be accepted as a viable candidate to some design specific roles. It of course is not fully comprehensive, but as an icebreaker or keyword it can not hurt and in some cases it can really make the different. And for users looking for a big raise, while you may want to consider closely if this is the certification is all that is needed. There are stories of junior designers negotiating a raise or title bump based on the successful acquisition of a certification but these are situation specific. If you can make a compelling argument of how studying for the exam, learning new skills, and showing a desire to continuously learn will benefit your organization then you are on the right track regardless if you achieve certification or not. Are you a certified Solidworks user, either a CSWA, CSWP, or CSWE? Let us know if your certification has been worth it in the comments! 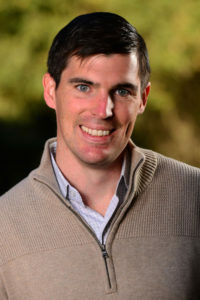 Chris McAndrew(@cbmcandrew) is a product development and product management expert who has launched products ranging from children’s toys to biotech research tools. He is the original founder of 3DEngr.com. His writing on the 3D Printing, VR, the IoT and other topics can be found across the web including at this site, 3DNPD.com. Spanning design, marketing, and engineering 3DNPD.com focuses on new product development and how to turn an idea from a napkin sketch into a marketed product. Get deeper preparation for SOLIDWORKS certification with online training, sample exams, & tutorials available now. Get started with a free SP membership. What are some of your own tips for getting SOLIDWORKS certified? Let us know in the comments.